The story begins in the mid 70s, when Antonio Colombo joins his father’s company A.L. 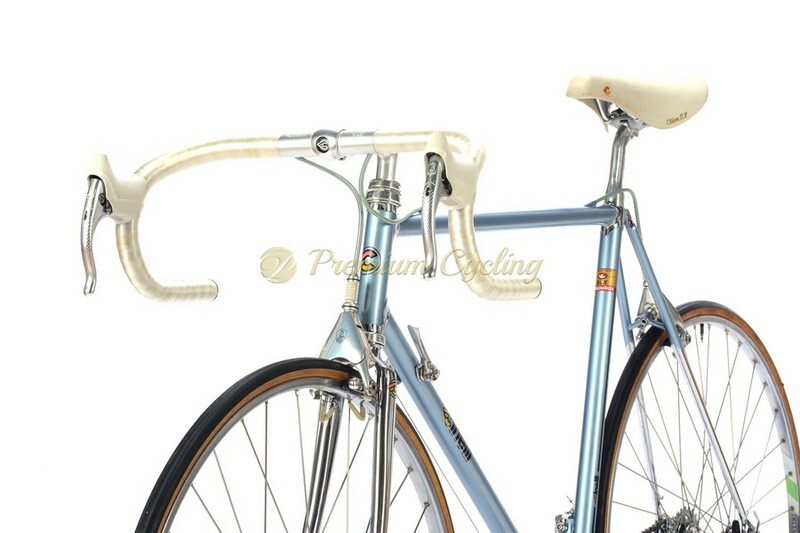 Colombo, a giant involved in producing steel tubes for bicycles, cars (like Ferrari, Alfa Romeo, etc. ), motorbikes (Moto Guzzi, etc. ), aeroplanes (like Caproni, the very first plane to fly over Atlantic Ocean). In 1977 he resigns as A.L. Columbus president and separates Columbus from the rest to develop bicycle tubing production, giving birth to one of the most famous brand in cycling history. 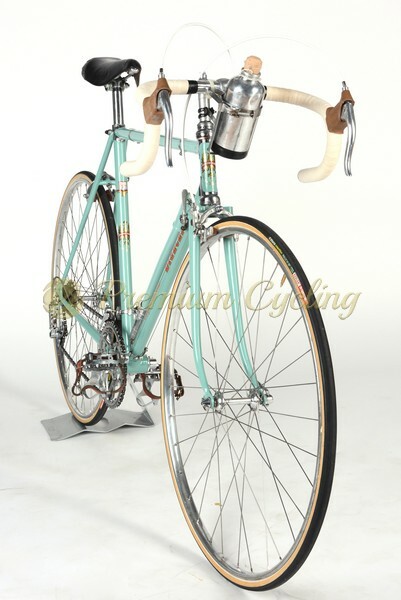 In the 80s Colombo takes over Cinelli, a small high end bicycle and components factory founded by Cino Cinelli, a former pro rider between 1930s and 1940s, winner of three Giro d’Italia stages (1938, 1939), a Giro di Lombardia (1939) a Milano-Sanremo (1943) and many other races. In 1948 Cino decides to retire from pro cycling to found his own factory that will become a benchmark in the bicycle world. 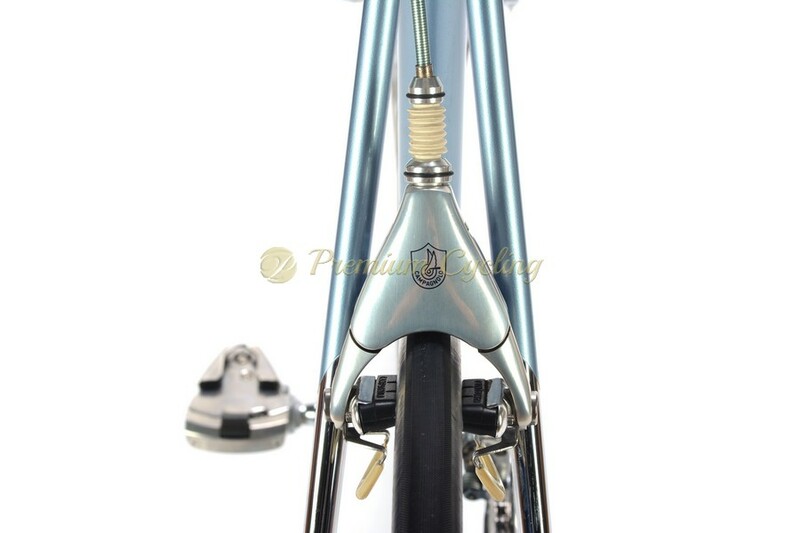 Someone may remember him as a rider, many others remember him as the father the first aluminium handlebars, the first seat with a plastic core, the first pedal straps, the first quick release pedals. Antonio Colombo’s thinking is different, more visionary, with a gaze that sees beyond the present. The company is transformed, vision of bikes is changed too, and the inventions of “design made in Cinelli” begin to find their way around the world. Proudly presenting this legendary mid/late 1980s racing machine, simply work of art. 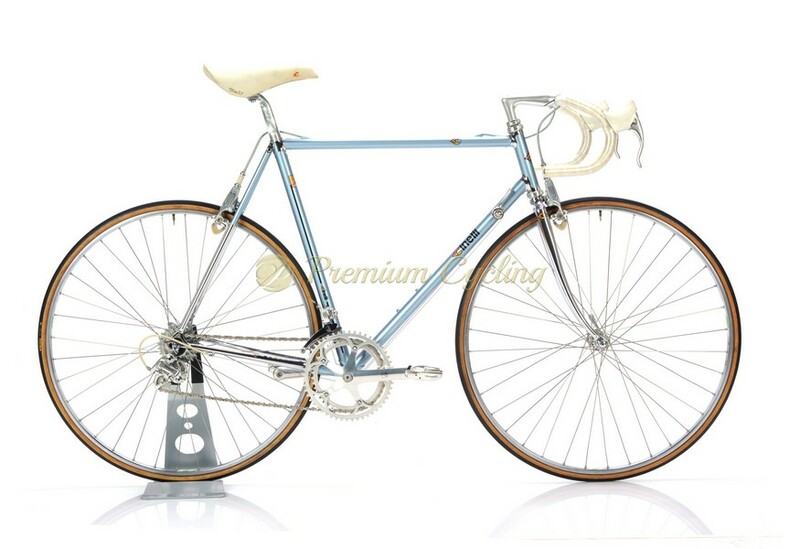 Iconic Laser blue paintjob, Columbus SLX tubing, Cinelli engraved lugs, extraordinary details and superb Campagnolo C Record groupset in more than excellent condition. Very collectible. Amazing condition. Love at first sight.